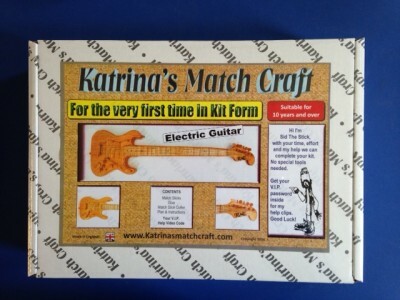 Katrina's Match Craft specialize in unique and different models for the very first time in matchstick kit form. In any kit that is purchased there is a V.I.P password to access Sid’s help videos which take you through your kit step by step at your own pace as Sid the Stick wouldn’t like to think you couldn’t complete any of the kits he sells. Box contents: Plans, Sandpaper, Matches, Template, Match cutter, Glue, V.I.P password.